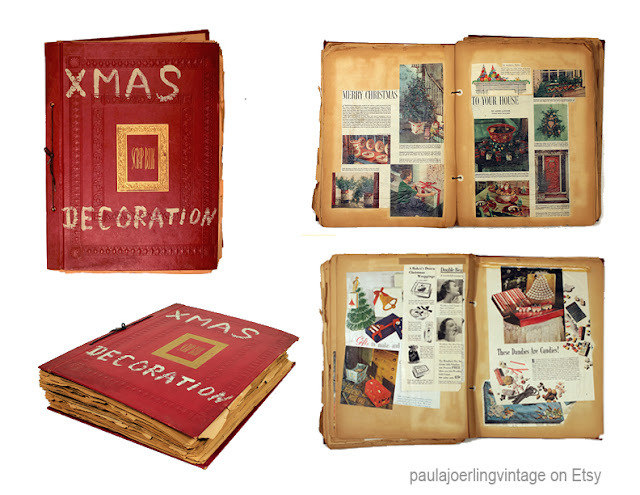 It's that time of year again so I thought I would share a few of my favorite things for gift giving. As a bonus, I have a gift for you. 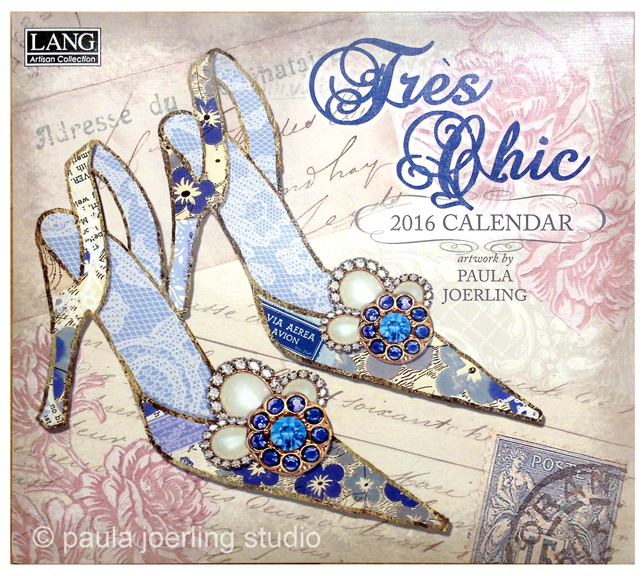 All you have to do is subscribe to my blog and you will be entered to win my Lang "Tres Chic" Mini calendar. The winner will be announced on December 1. If you are already subscribed, no worries, you are all ready entered. I have several other calendars available for 2016 so be sure to check those out. First up is my friend, Robin Davis. 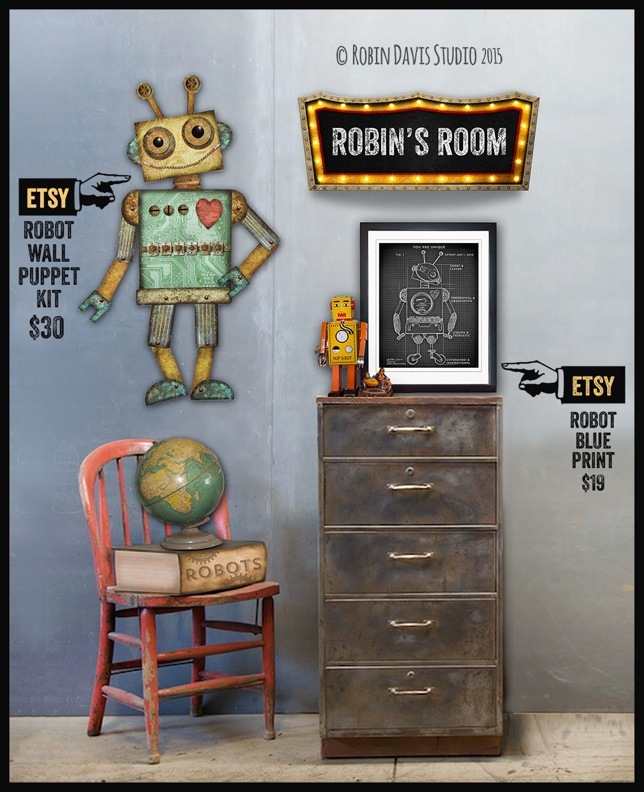 Robin has been creating her fabulous Robots for some time now and she has put together some super cute prints, mouse pads and downloads on her ETSY SHOP. I LOVE her Giant Robot Wall Puppet Kit. Order soon to be sure and get yours in time to put it under the tree. 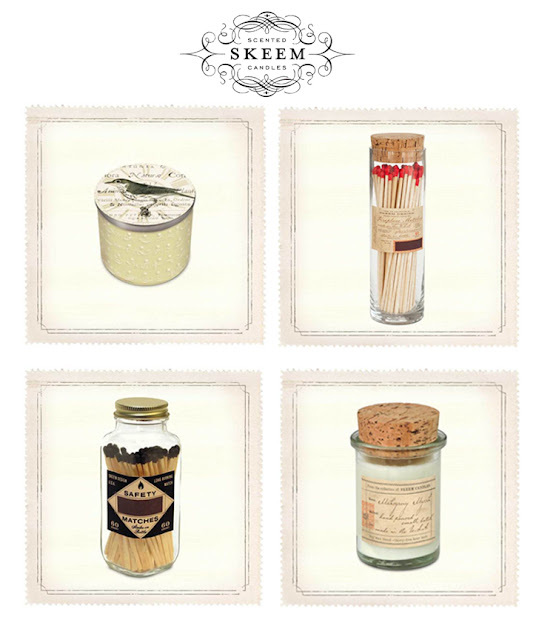 Skeem Candles are always on my shopping list. The Mahogany Myrrh and Citrus and Olive are two of my favorite scents. White Tea and Thyme is burning in my kitchen as I type this post. I am also a big fan of their match bottles. They look so pretty sitting out on the counter or on the mantle. They have several other scents and gifts with their signature graphics. Oh, and be sure to check out their sale section for some nice surprises. 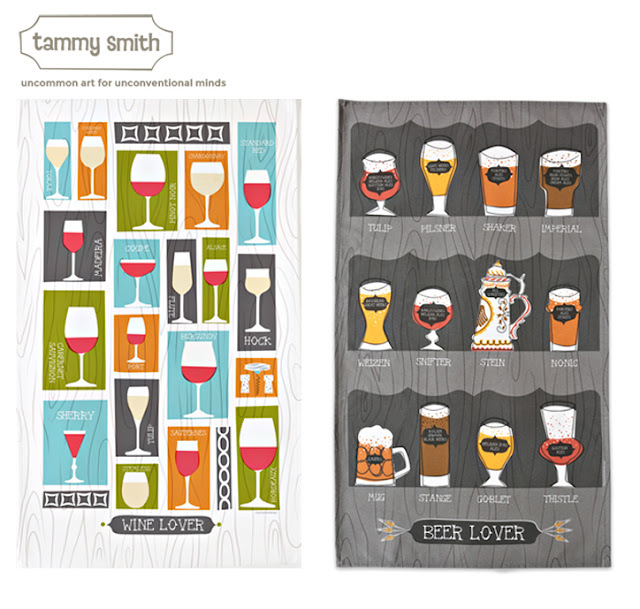 Tammy has a great collection of dish towels, pillows and prints featuring her designs. If you are lucky, there may be a dish towel with your favorite city on it. 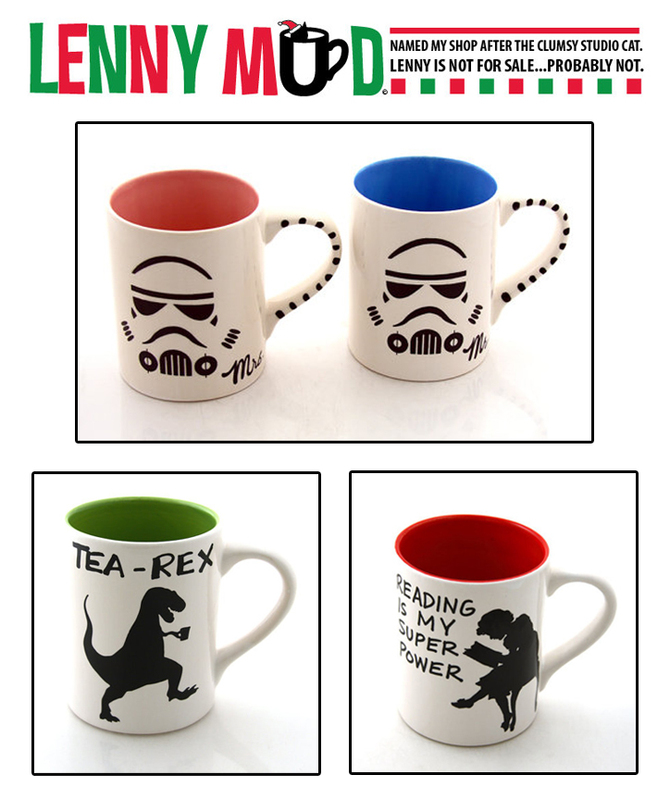 If you have one of those "hard to buy" for people on your list, check out Lennie Muds etsy shop. That cat is all sorts of clever and it was difficult for me to just pick a couple of items to feature. There are ceramic mugs, bowls, miniatures and one of a kinds with a variety of fun themes from Star Wars to Lionel Richie. In the name of healthy competition, my husband, Tom Haney, also has a calendar. His is self produced and features his automatons. If you are in need of something that will knock someone's socks off or if you don't know what an automaton is.....check out his website for available pieces. 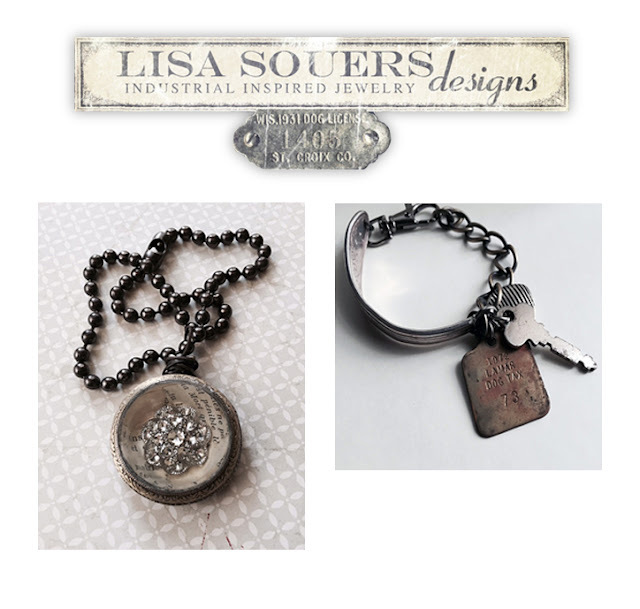 If you are looking for a unique piece of handcrafted jewelry check out Lisa Souers shop. 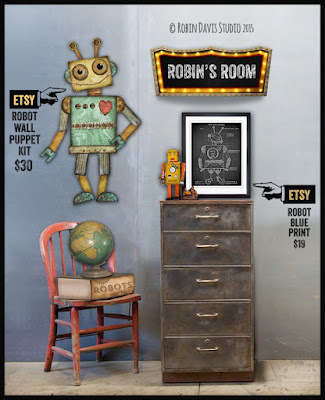 She collects all kinds of vintage and industrial bits and pieces and makes them into wearable art. You may have a difficult time selecting just one piece so I suggest you get two, one for you and one as a gift. 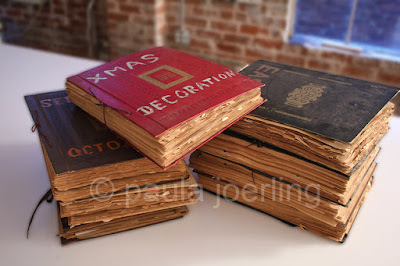 All kidding aside, I have added a SHOP page to my blog. I have a variety of banners, mini canvases and sewing hoops that I designed for my Sew Happy line with Transpac Imports. There are holiday, coastal, lodge and kitchen themes so there is plenty to choose from. Well I hope you enjoyed my gift guide. I had a lot of fun putting it together for you. 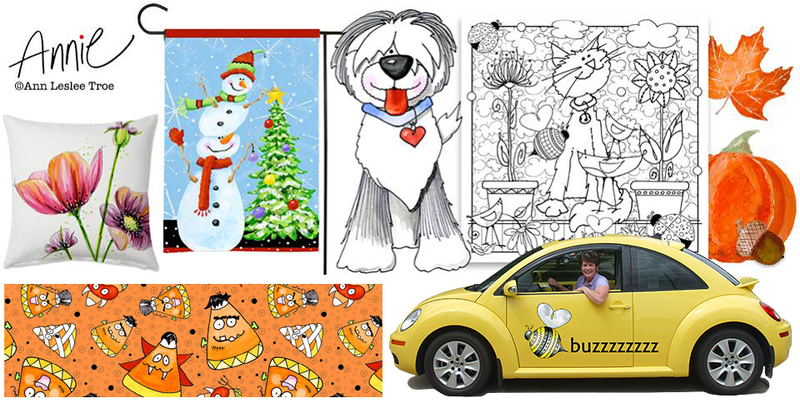 Remember to subscribe to my blog so you can be entered to win a mini calendar. Thanks for looking and have a HAPPY and SAFE holiday. 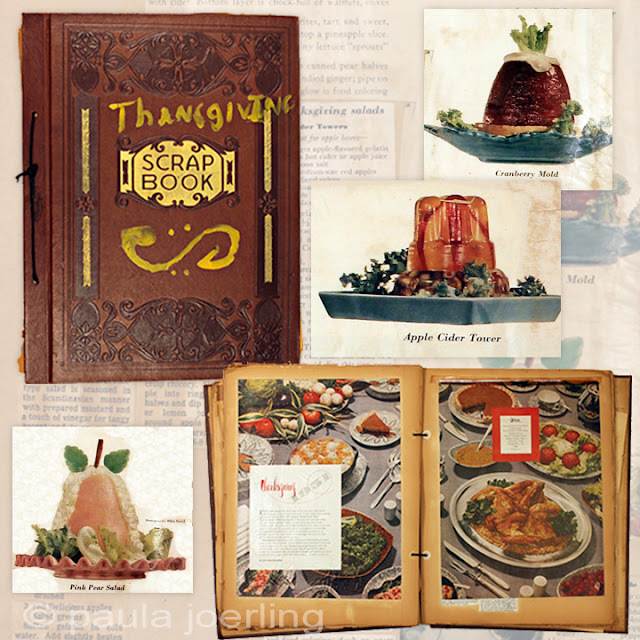 If you have ever been curious about entertaining tips from the 1950's and 60's, look no further. 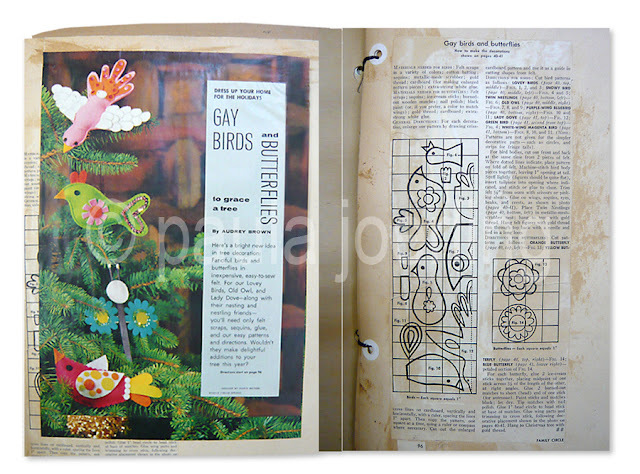 I have no doubt that this collection of Scrapbooks would answer any question that you might have. While I shouldn't assume that these were put together by a woman, I think, given the dates and types of magazines that the clippings came from, it's a safe assumption. Besides, the title of this post would have been something like "A Woman or Possibly a Man Obsessed- Vintage Scrapbook Collection" and that just seemed too long for a post title. Also there may be a name somewhere in this collection that led me to believe it was a woman. I found this load of goodness several years ago in an antique store in Indiana. It is a store that I usually try to pop into when I am in Cincinnati visiting relatives. After seeing them on several different visits over a few years I decided that I couldn't bear for them to go "unloved" any longer and they came home with me. I am glad that they did. Going through them has been more fun that I thought it would be. 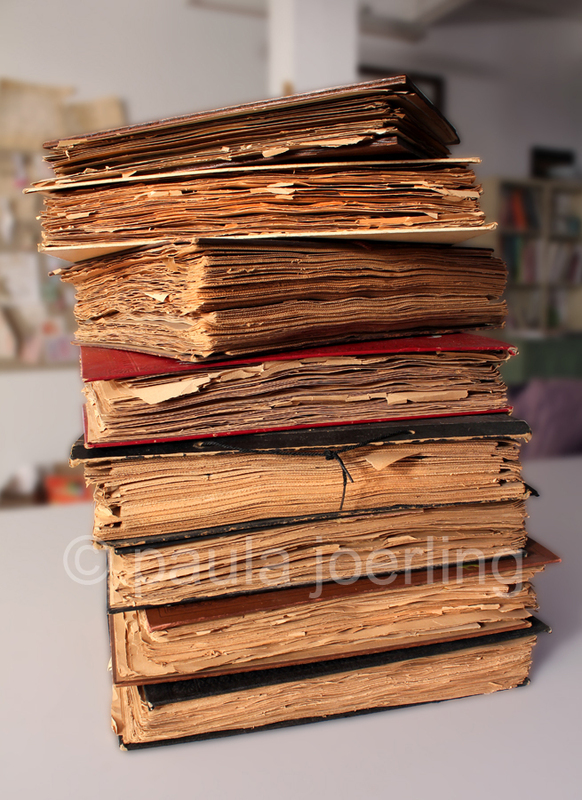 Each time I open one of these tomes, I can't help but to try and knit together the story of their creator. How many magazines did she get? 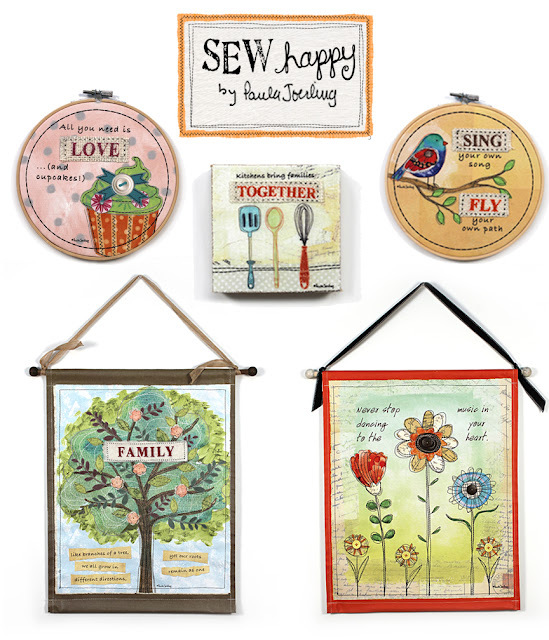 Did she cook or make any of these crafts? Did she entertain? Or was she a shut in who entertained herself by clipping articles for a party she would never have? I prefer to imagine that it's the former rather than the latter. Due to a studio clear out, I have decided to part with the collection. 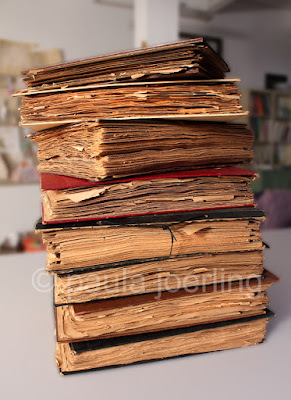 I have photographed many of my favorite pages in order to revisit them from time to time. They are heavy on old recipes so if you or someone you know enjoys that sort of thing like I do then follow the link to my etsy shop. 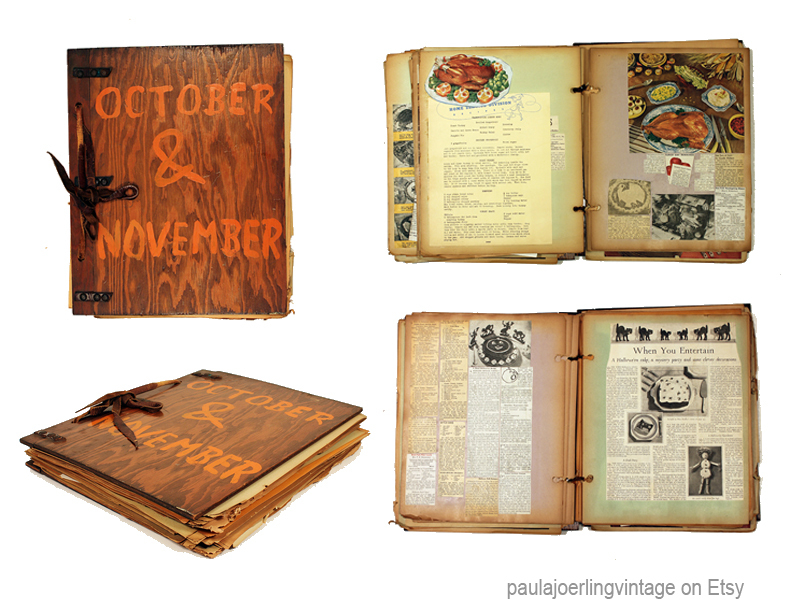 Oh, and just for stopping by, here's a 15% off coupon code for the shop PAU1126. It is good through November 30. This month's guest is the talented Annie Troe. 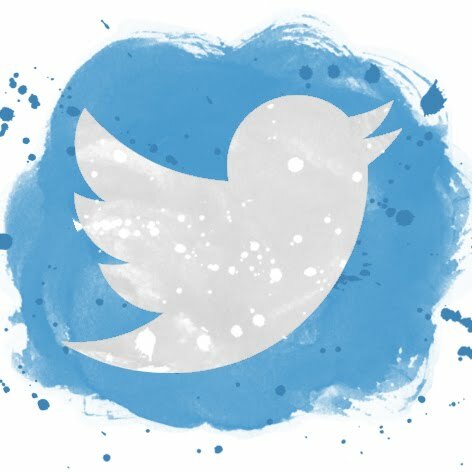 Annie and I connected through social media and I became an instant fan. Besides loving her work, I admire her giving spirit and sense of humor. She may be the nicest person I've never met. I think you will like her too! Wow! I just added it up and I have been a graphic designer for 27+ years! I love it, but it wasn’t my fist love. Graphic design was, all those years ago, the best fit for my creativity. ART has always been my passion! I know many of you can relate :-) I am blessed to have been licensing my art for 3 years now, looking forward to many more! 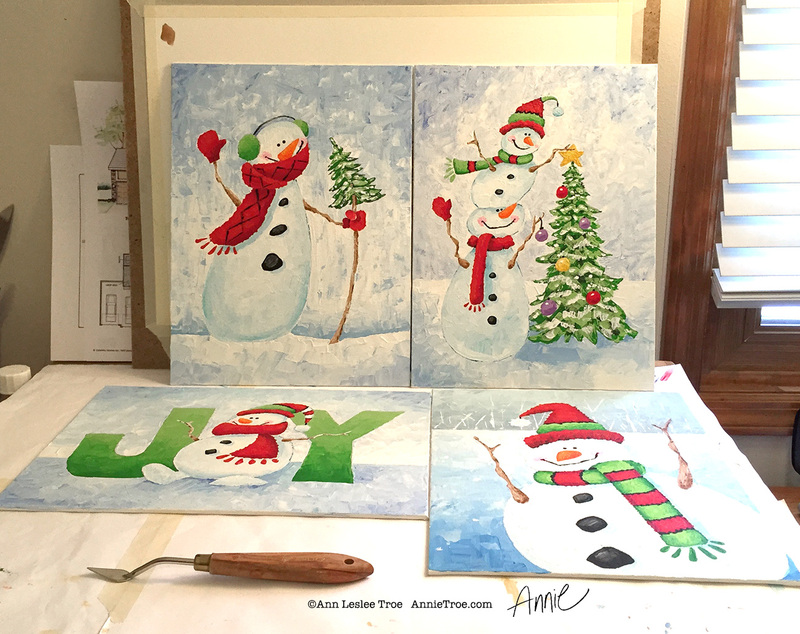 The “Flakey Friends Snowmen” images above are done entirely with a palette knife and acrylic paint. As well as the images below in this post. 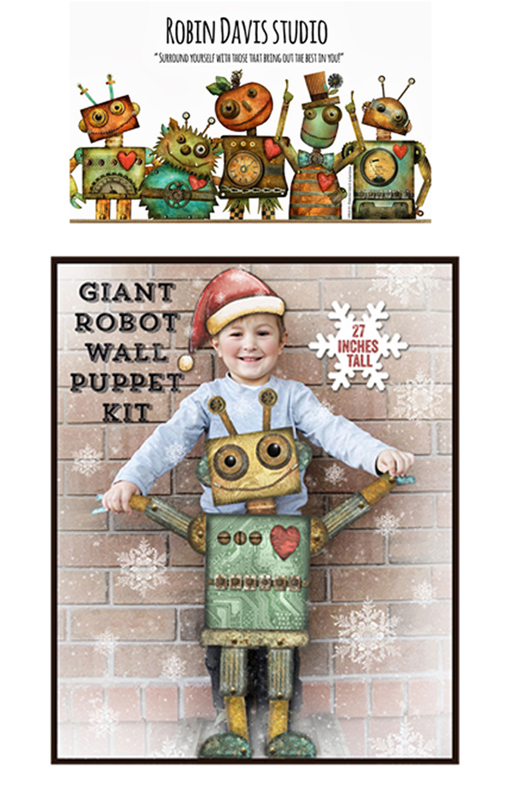 I do play around with the images in Photoshop as you can see in the product mock ups. Why the heck do I use only a palette knife?! It is SO darn expressive! A palette knife challenges me to get even more creative. It forces me to solve the problem of how am I going to get my painting to look great with such a limited tool. Palette knife painting brings a unique fresh perspective to my art and to the art licensing business which I am passionate about. How did it get inspired to paint this way? I have been listening to a radio show “Artists Helping Artists” http://artistshelpingartistsblog.blogspot.ca/ for some time. They offer all kinds of art and business tips. Leslie Saeta (http://www.lesliesaeta.com/) is the host with many other wonderful co-host artists. She is a palette knife painter and I am a BIG fan of her work! One day I just gave it a try and it was love at first knife stroke. A bit about me. 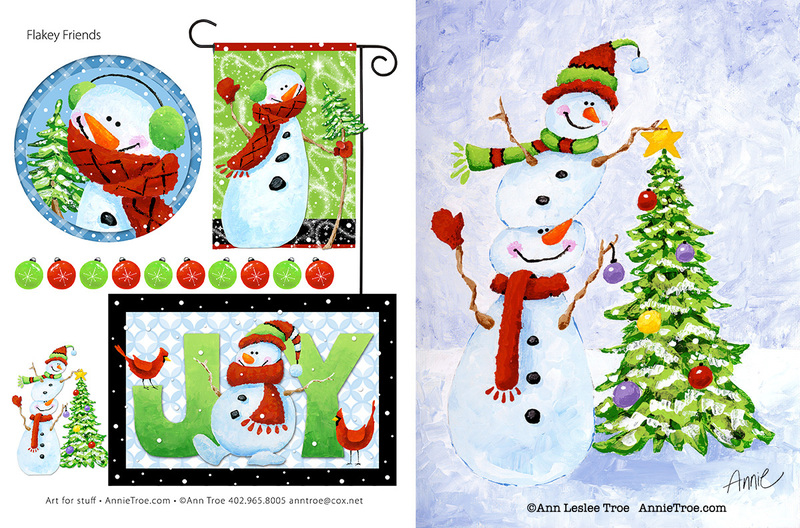 A year ago I signed with Artistic Designs Group http://artsdg.com. They are fantastic! Having an agency represent me and tackle the marketing/business end of selling my art leaves so much more time for my love of creating art. It doesn’t get any better than that! 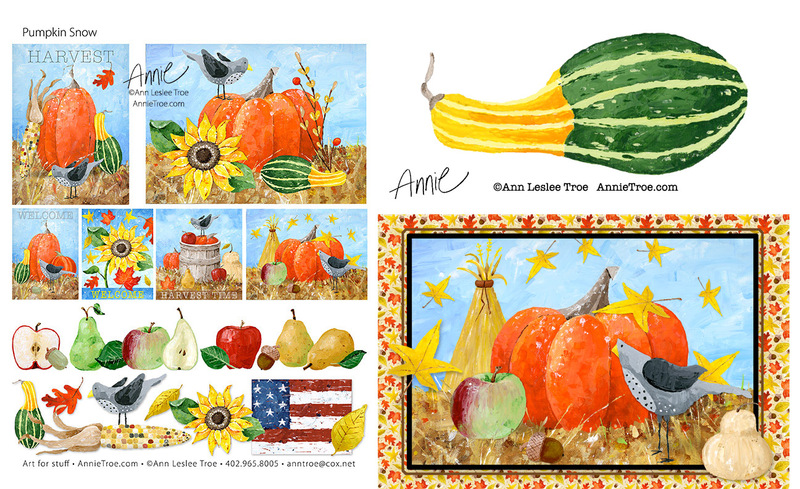 If you want to learn more about me and the world of art licensing check out my blog: “Art Licensing from my seat on the bus” http://annietroe.blogspot.com/ There are articles showing how I create art, art/legal posts, agent and artist spotlights. The “Useful Stuff” blog page is loaded with links and information. You can also find me on ArtLicesningShow.com. 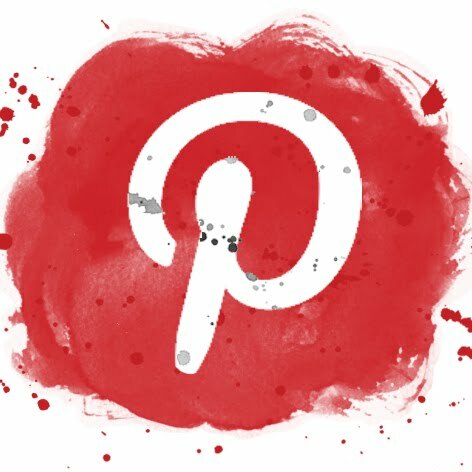 If you happen to be on this site, check out my “2nd Thursdays” group. We get together and chat about the business of art.